Should You Be Afraid to Check Your Credit Score? Most big decisions in your life involve — and even depend on — your credit score. The rates on your car loan, mortgage, and new credit card all depend on this number. However, despite its significance, you may be afraid to check your credit score. This is because many consumers don’t know much about credit scores, what they mean, or how to maximize their potential when we need them the most. This fear of our credit score usually manifests itself in one of two ways: either we don’t look at our credit score because we’re afraid of how bad it is, or we don’t look at our credit score because we’ve been told that looking it up has drastic consequences. Let’s address each of these fears head on to alleviate some of this credit score stress. It’s normal to avoid thinking about things in our life that bring us pain. It’s built into our basic biology. Even a mouse will eventually avoid cheese if they receive a shock after every bite. But no matter how bad you think your score may be, you need to know what it is to fix it and turn your financial life around. This is something many people go through when it comes to a situation like this, but it is important to remember that with the help of sites such as repair.credit, you’ll be able to get your financial life back on track. There’s always people out there to help you, especially when it comes to money. Even the worst credit score imaginable is nothing that a sound, strict financial budget and a little patience can’t repair. Start fixing your finances by figuring out which of your high-interest credit cards to pay off first. Poor credit is not something you can fix overnight, but if you put forth the effort, you’ll have a much higher score in just a couple years. If there’s an imminent purchase coming up, such as a new home or vehicle, there are ways to give your credit score a temporary boost and increase your chances of receiving a competitive interest rate on your loan. For example, by waiting at least six months to apply for a home loan after opening your most recent credit line, your credit score will eventually recover from the ding caused by that inquiry, or “hard pull.” FICO, the company that provides the score lenders care about most, temporarily lowers your score because they want to see if you can handle the responsibility that comes with that new credit obligation. Fear: You Can’t Check Your Credit Score Without Dinging It, So Why Bother? We’ve all been told that checking our credit score temporarily lowers it. Several years ago, this was true. Every pull on your credit, whether it was you or a creditor, would be recorded and rewarded with a temporary knock against your score. However, this is no longer the case, and it is up to us to get the word out that our parents’ advice on this topic is no longer relevant. When you check your credit score today, you are performing what is called a “soft pull.” While the time you request the pull is noted, it cannot impact your score. 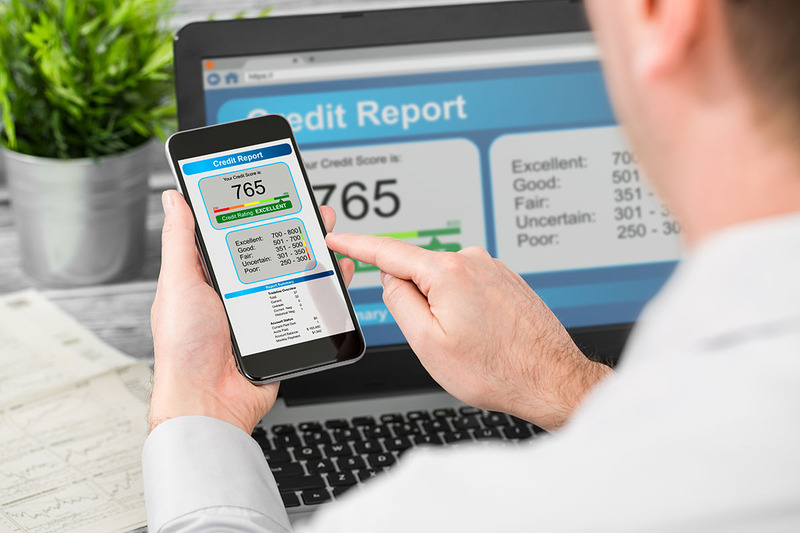 The ramifications of this change are enormous, and they stretch far beyond simply allowing consumers to check their score without worrying they’ve damaged their credit. Not only will your own inquiries not affect your score, but the multiple inquiries lenders might make while you’re shopping around will not hurt you either. When our parents tried to apply for a car loan or mortgage, they would often take the very first quote they were offered, because multiple inquiries into their credit history would hurt their score. While FICO had their reasons for setting up their algorithm this way (among other things, it prevented individuals from opening more credit lines than they could handle), it limited what a consumer could do to shop around and compare rates. With this barrier removed, there’s nothing stopping you from researching to find out if your quote falls within the range you expect and deserve. Don’t settle for anything less than the absolute best rate you can find on a loan. Use these quotes as leverage against other lenders and make them earn your business. If your lender can beat a legitimate competitor’s rate, they probably will — and if not, many businesses have certain promotions designed to reward consumers who challenge them. You should never have to pay to learn your score. Check with your credit card company, your bank, or anywhere else you do business to see if they offer a free credit report. Also, when you do, make sure that it’s for your FICO score. In the world of finance and loans, remember that your FICO score — not the score generated by companies like Experian, Equifax, and Transunion — is what will determine your loan eligibility. These scores vary wildly, and relying on the wrong one to determine your financial stability could be a costly mistake. “Should I check my credit score?” — if you’re still asking yourself this question, remember, taking back control of your finances is a multi-step process, but the journey begins with learning your credit score. Once you’ve done that, you can determine if your credit score is good enough for your future plans, and how you can improve your score.